Congratulations to tour winner Jodi H. and to host winner It's Raining Books. 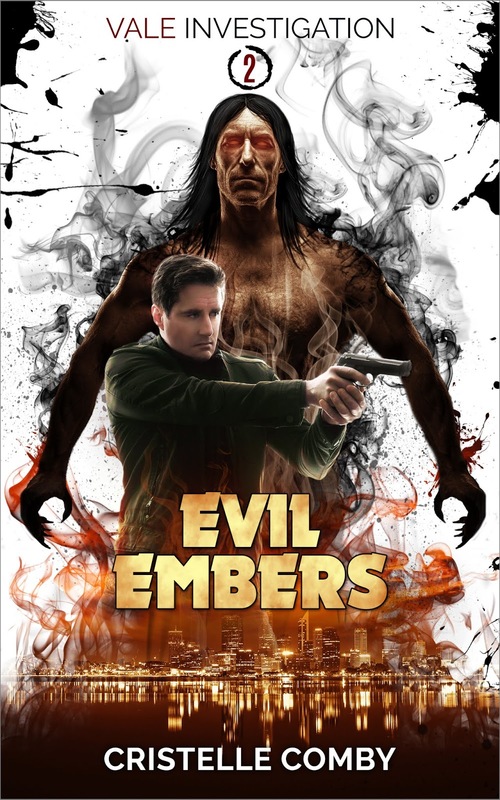 Goddess Fish Promotions is organizing a Virtual Book Tour for Evil Embers (Vale Investigation, book 2) by Cristelle Comby, a Urban Fantasy available March 15, 2019. The tour will run March 18, 2019 to April 12, 2019. Prewritten guest blogs and interviews, along with promo posts, and reviews are available. Please specify which type of stop you’d like when you ask to host this tour. The book is available in PDF, ePub and Mobi format for review.